Over the past year Mini Galerie curated various projects for ING Bank, one of the main financial corporations in The Netherlands. 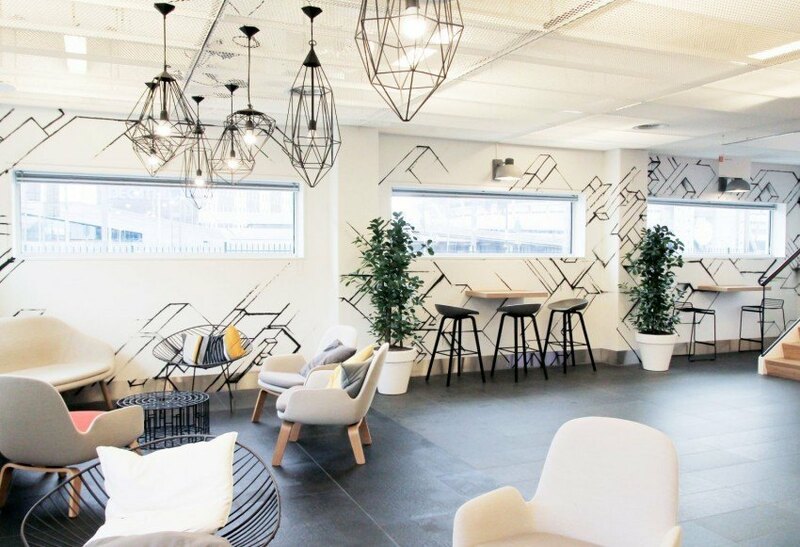 Located in the South-Eastern outskirts of Amsterdam, the ING Acanthus Headquarters has gone through an immense interior makeover to accommodate a new way of working. 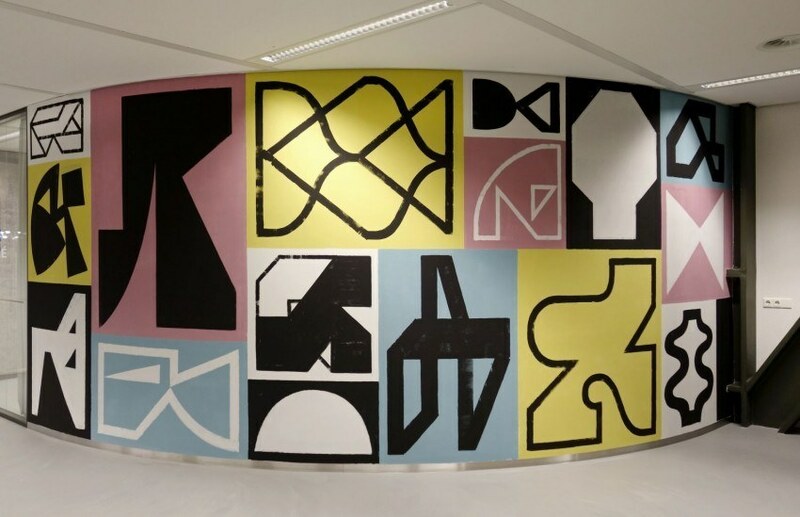 Up to now, several permanent and temporary wallpaintings and installations by Dutch artists Job Wouters, Jeroen Erosie and Boris Tellegen are included in the new interior of ING Acanthus. 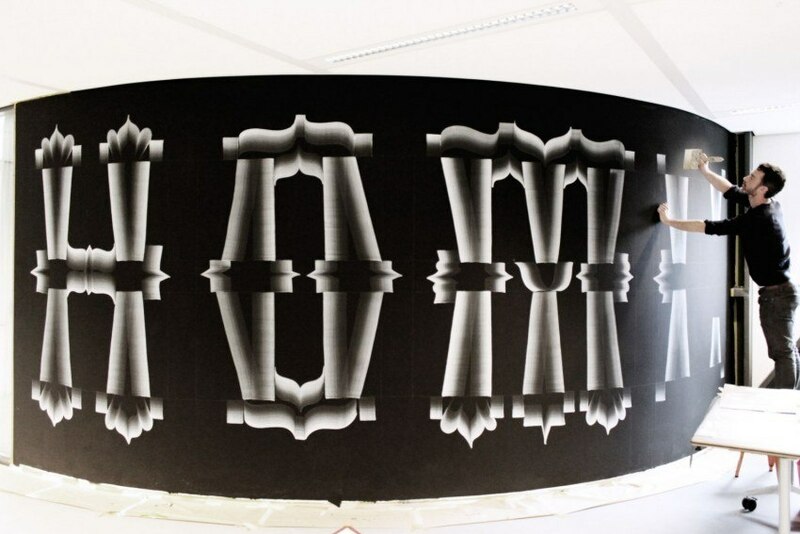 In the newly renovated main hall of ING Acanthus, the so-called ‘Street Hub’, Boris Tellegen created a permanent 18 meters long wallpainting, consisting of crude aerosol black lines. 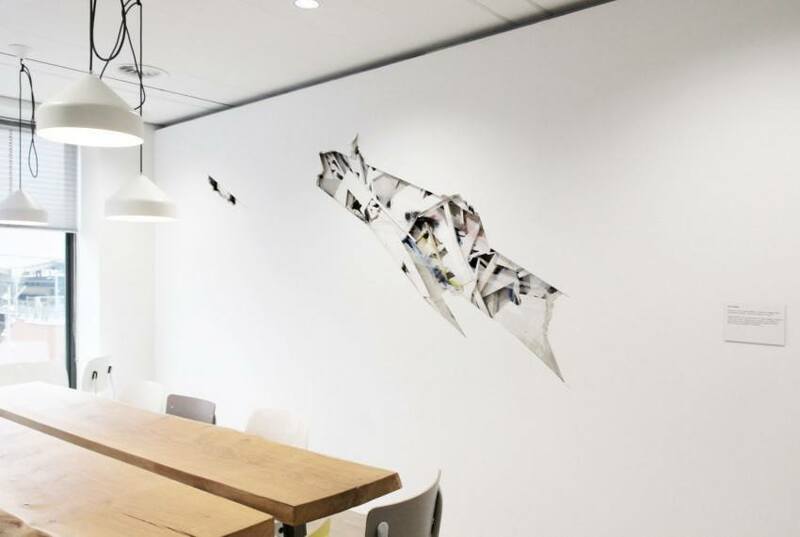 Besides this monumental mural Boris Tellegen established a subtle wall installation in one of the meeting spaces. 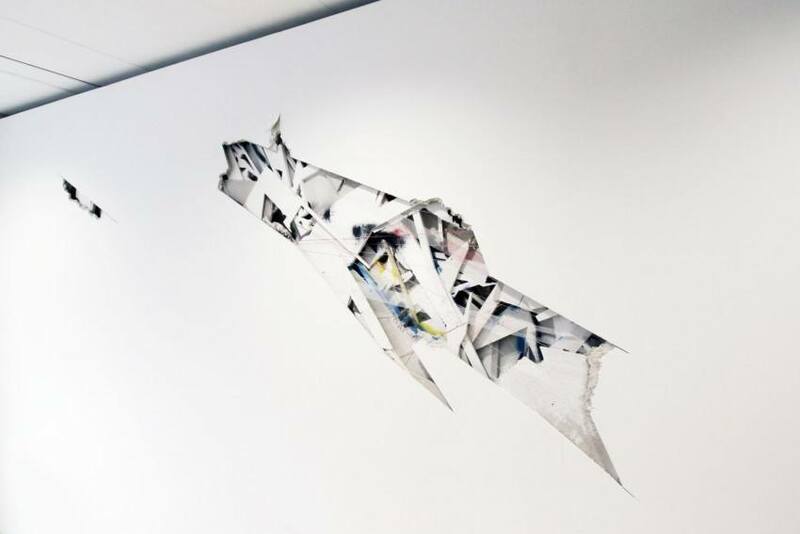 With a large part of the artwork hidden behind the surface, Tellegen leaves the viewer wondering about the invisible. 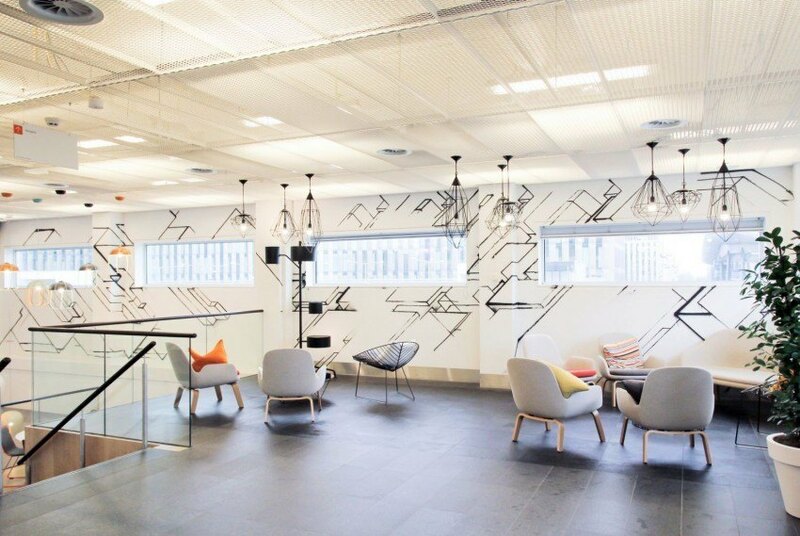 Jeroen Erosie was the first artist to create a temporary wallpainting for the human resources department of ING. 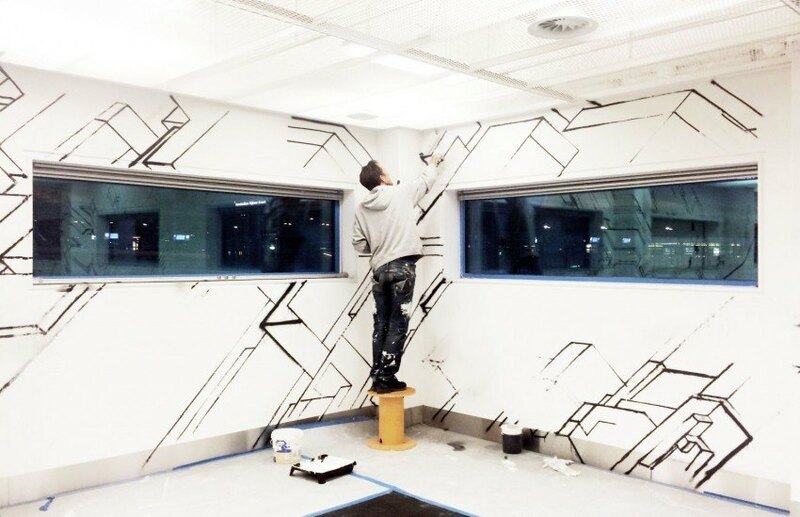 The mural, that will be part of an ongoing series, originates from his recent wallpaintings in Cologne and Italy and naturally his sketchbook pages. These sketches represent a process where Erosie is constantly looking for new associative forms; typographical, architectural and impulsive. 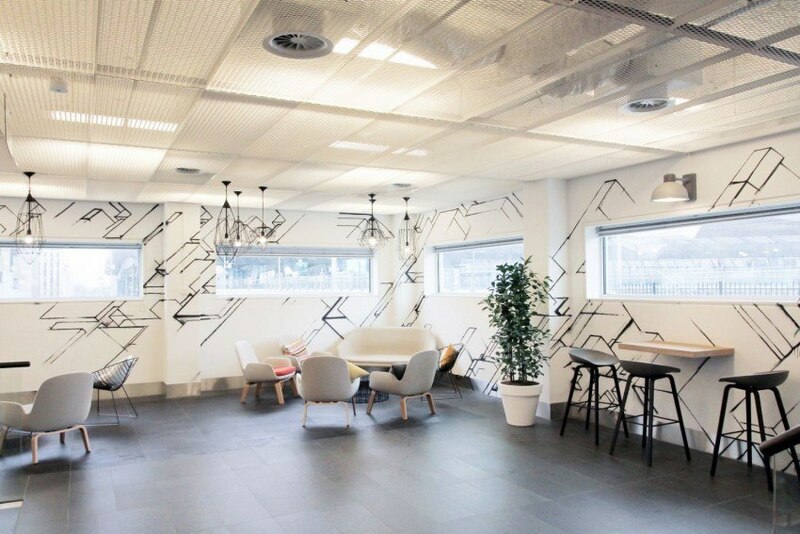 The second wallpainting at the HR department was executed by Job Wouters last week. 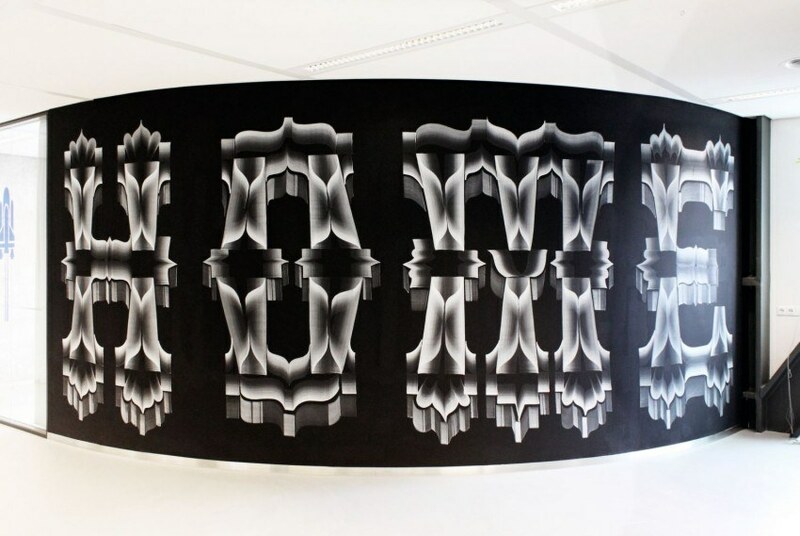 In his infamous signature style, a synthesis of typography and calligraphy, Wouters created his second ‘HOME’ wallpainting; the first was created for the Walker Art Center in Minneapolis in 2013. Interestingly, when placed in a different environment, the word takes on a different meaning.